Initially built as a Roman Catholic convent, Holy Cross became an open air school in 1931. It was intended for sick and delicate children and run by nuns. 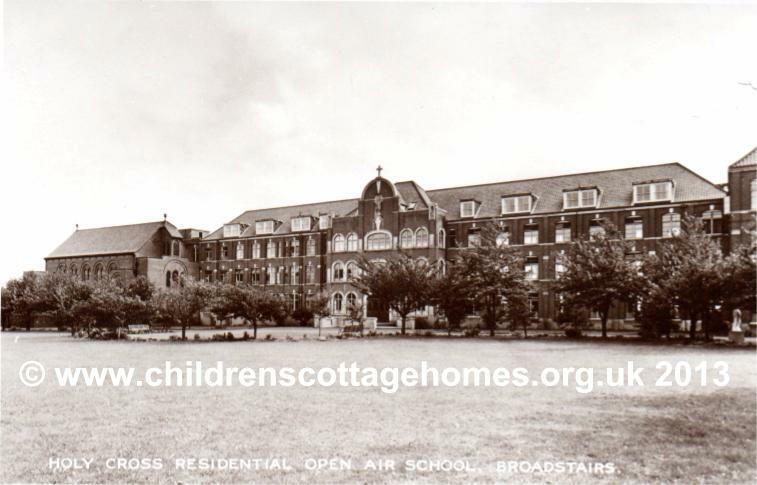 During the Second World War, the building was used as a hospital, not reopening as the open air school until 1947. This move back to its open air purpose was short-lived, however, as it became a Catholic school in 1962. For at least some of its short time as an open air school, it was a boys’ only facility. Holy Cross Secondary School continued on the site until 1988 when it was closed. The buildings were later demolished.